Get convenient access to your home’s deck or patio with a hinged Frenchwood door from Andersen®. This modern classic combines traditional craftsmanship and cutting-edge technology for beautiful, long-lasting performance. Tailor the design to your home with numerous features and hardware, plus an outswing option in case you are short on interior space. 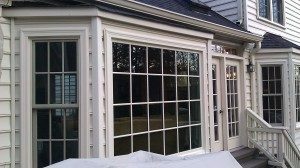 You can add a hinged Frenchwood patio door to your home even if you currently have a sliding door.Both inswing and outswing styles provide a large opening that is convenient for moving large items. A five-point locking system offers increased security. 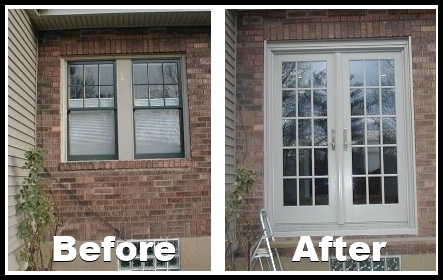 You’ll be amazed at the difference a patio door can bring to your home! To see how different door styles and options will look in your home, use our handy Door Visualizer or visit our Bethlehem showroom! Find out why Andersen doors stand apart from all others. 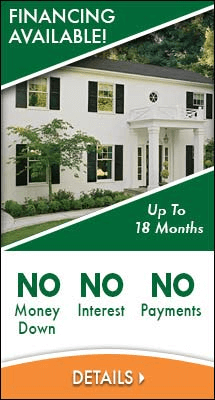 Call Renewal by Andersen of Northeast PA at (610) 355-4055 for more information on patio doors in Bethlehem.